This year we had the opportunity to present at The Funding Network, an Australian charity that builds the capacity of grassroots non-profit organisations, by helping to democratise giving and facilitating greater community engagement. Feel the Magic® was one of only three charities selected to present to a room of generous Australians looking to support charities that are making a diference. We were proudly represented by founder James Thomas and camper Noah Levin. They shared their heartfelt message on the importance of early intervention of childhood grief. 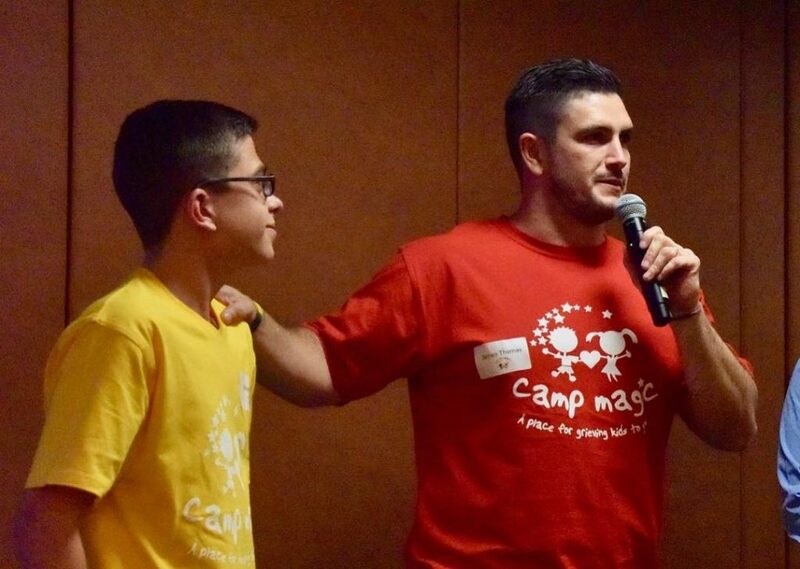 We particularly want to acknowledge Noah’s outstanding presentation – we are so proud of our campers in so many ways. A total of $70,000 was raised for Feel the Magic® which will impact the lives of 70 grieving children nationwide. This is impact at its best! Thank you to everyone involved who made this possible.